In a few words, describe yourself and your practice. 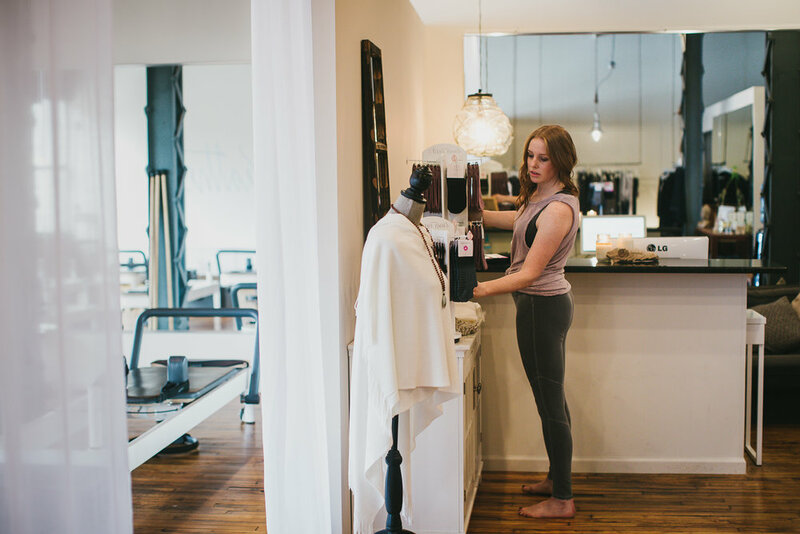 I have a very energetic and bubbly personality with so much passion about how the body moves and different movement modalities. I have been a Pilates instructor for 6 years now with my intensive training and certification in all pilates apparatuses and mat pilates. I have started to think of myself more as a movement teacher since I started instructing full time and have added barre, TRX, bellicon rebounders, injuries and special populations, and 200 hr yoga certifications into my repertoire. I am also currently getting my masters in Exercise Science at Concordia University. When did you start your practice? I started teaching pilates 6 years ago! I took my first Pilates class 11 years ago and after a year of going to a class four plus times a week I started to feel, look, and act different. I knew 100% I was going to become an instructor and have Pilates be in my life at some capacity for the rest of my life. Is your practice how you support yourself? If not, what else are you working on to do so? Yes! I am a full time Pilates instructor teaching around 40 hours of group classes and private classes throughout the week. 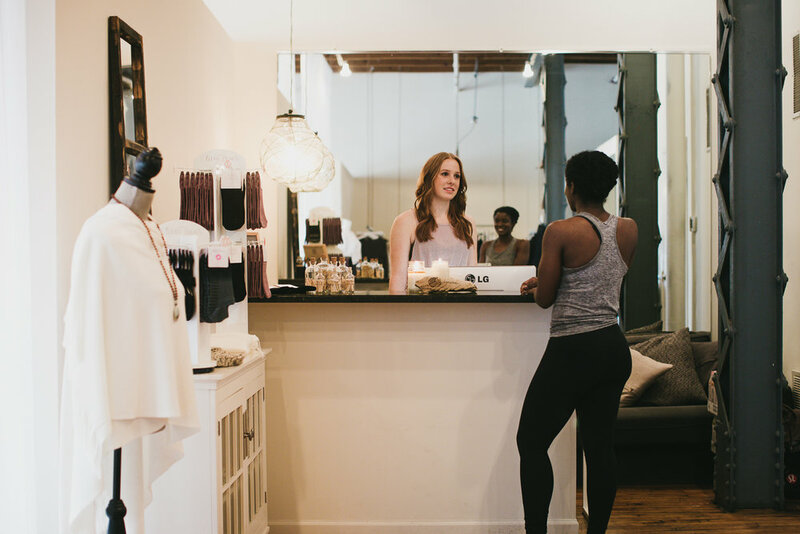 I am also the studio manager at Flex Pilates, doing everything I can to keep our amazing clients and staff of 10 instructors happy! If you were to share one piece of advice with those who aspire to do what you do, what would it be? Make sure you have a passion for what you are doing. If you have a passion for it, you will want to do it as much as you can. The more you do it, the better you become at it, and the more knowledge and experience you will have to help out as many people as you can! You have to be ready to hustle. How does where you live affect your work? 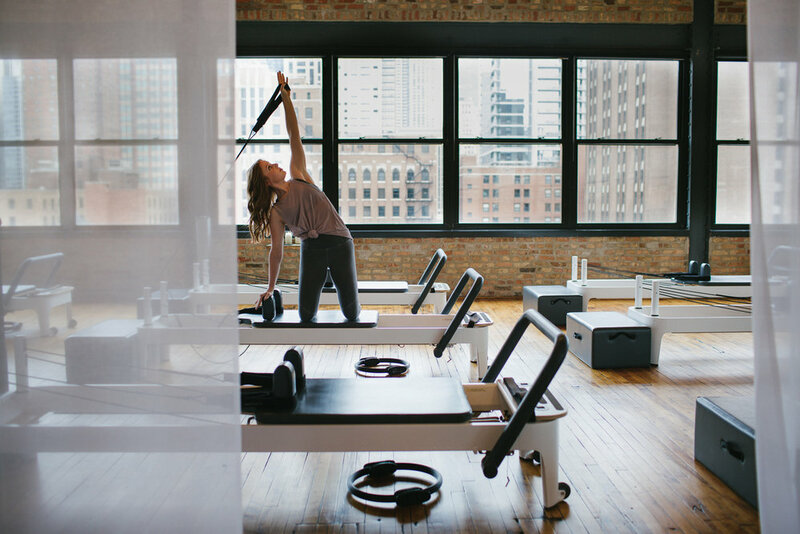 Living in Chicago has given me some amazing opportunities like working with professional athletes and celebrities, while also allowing me to teach in such diverse places outside of the studio such as paddle board Pilates classes on Lake Michigan, corporate offices downtown, and offering free classes at parks and retail stores around the city. When I am not teaching a 6am class, I start my day with a 10 minute yoga/pilates flow at my apartment to get my body moving and ready for the day. When I do have an early start, I usually start my day making a cup of coffee at home in my french press, grabbing either hard boiled eggs or an RX bar to go, and then hop on my bike to head in to the studio to make it there by 5:30am. WHAT ARE SOME CHALLENGES YOU’RE FACING IN YOUR PRACTICE? As my career continues to progress, I am always searching for the next step. In the fitness world, there are so many opportunities out there, but you have to create your own path as you go. There is not just one path laid out for you that you know you can follow and work your way up the ladder. It is up to you to create new opportunities. What’s your favorite experience in your career? Teaching a mat Pilates class at millennium park every Saturday morning in the summer to over 300 plus individuals up on a stage with a live DJ to accompany me. Who (or what) inspires you? The owner and founder of Flex, Tracy Zindell, has been and continues to be my inspiration! She was the first person that made me really excited and want to teach Pilates as a full time profession. After I finished my training from her and started working for her, she became a mentor and helped me become the instructor I am today, always pushing me to stay creative and learn more. My average customer is a man or woman who has a lot of curiosity about how their bodies move. They are on average very adventurous, intelligent, successful, and open minded. I feel so lucky that I get to spend my days with all of my amazing clients. What’s the biggest risk you’ve taken? When I decided to start teaching full time, it was a big risk because nothing was certain. I didn't have any clients yet, and I knew I was going to have to hustle to get where I'm at today. What would you be doing if you weren't doing this? I love working with kids, and have always thought I would love to be a physical education teacher in an elementary school. Do you have any important routines that help you with productivity? Sleep. For me, I have learned that the most important thing is sleep. I have crazy hours and long days and I need so much energy in order to give all of my classes and clients my full attention. WHAT mAKES yOU eXCITED aBOUT yOUR wORK? What’s equally exciting and challenging is not having the next step in my career already laid out for me. I love knowing that I am able to take my career in whatever direction makes most sense to me at the time and if that direction doesn't end up working out, there are so many other ways to go. I have a skill that I can take with me wherever I am living in the world and can share that skill with others. How has your practice changed over time? Where do you see it going? My practice is always evolving! I try to take as many continuing education courses as I can to learn all the new science about human movement so I can instruct my clients the safest and most efficient way. The studio I manage is always evolving as well. Not only do people choose to work out at our studio for the quality classes, but also for the community and atmosphere we provide. We are always trying to think of new things we can do in our studio, such as workshops, products we sell, art work we want on our walls, and social media posts. Biggest thing I am currently working on is getting my masters degree in Exercise Science!